I'm always grateful to have a supply of onions year round. It would not be an overstatement to say I use them in something nearly every day. They add flavor, texture, fiber, and vitamins to any dish I make. 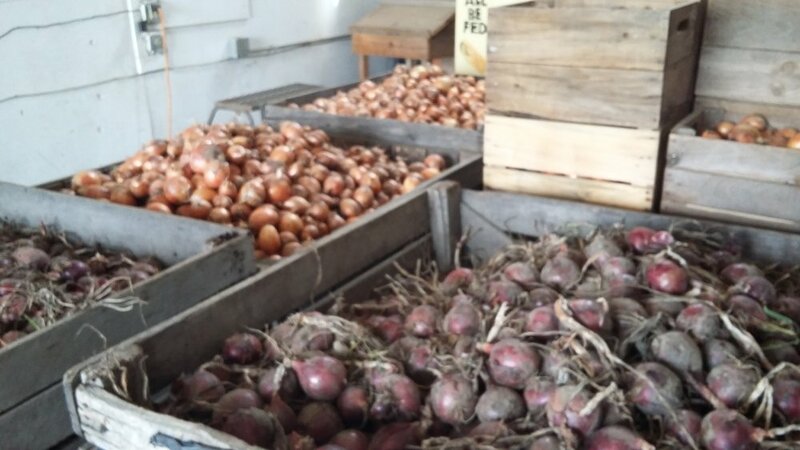 Sweet onions, red onions, yellow storage onions: I love them all. The first of the short-term storage onions (yellow cooking) are being harvested and processed in the late summer hot weather. 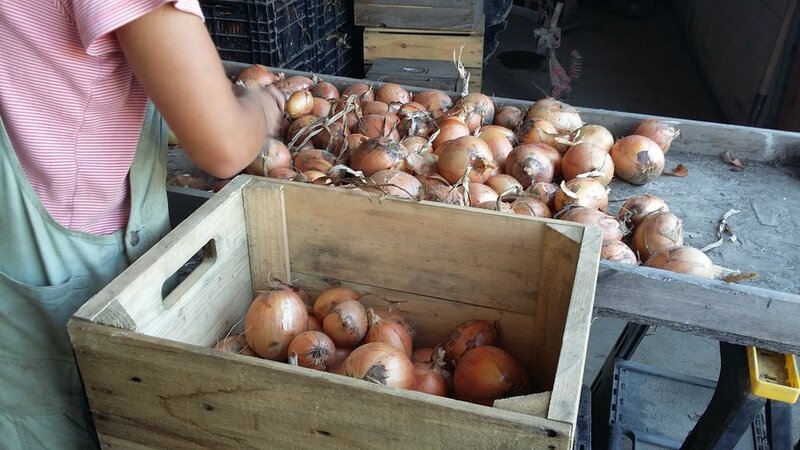 It's really a process to prepare the onions for storage, starting with drying them after pulling out of the ground. This first batch pictured (Highlander variety) are for short term storage for the remainder of 2018. They were field dried for about 2 weeks and then gathered in the large bulk bins for processing. Processing? Don't we just pick them and eat them? Nope. Onions have tops on them...the tall, above ground leaves and after drying, those leaves need to be removed. 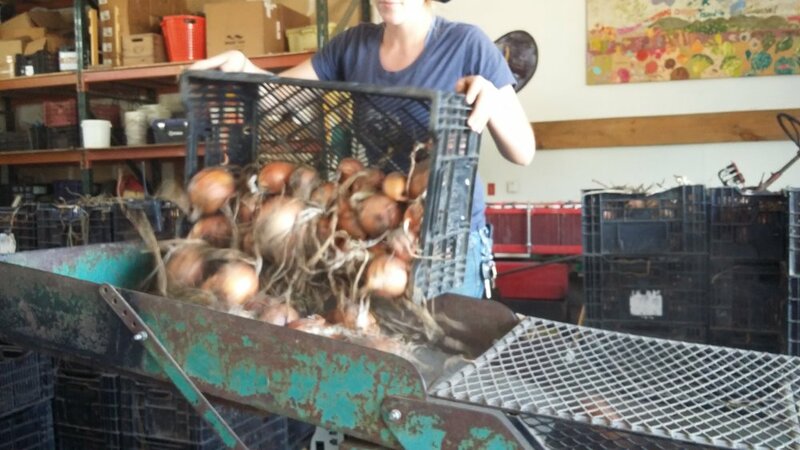 This can be done by hand, pulling or clipping each bulb, but we have an onion topping machine which saves a lot of hand work. it works by snaring the dried onion leaves between metal rollers that then pinch and snap the tops off. The topper was recently refurbished by Bob Pomykala with a variable speed sewing machine motor. This allowed us to slow the rollers down to 1200 rpm (from 1700 rpm) resulting in less damage to the onions, and a consequent increase in quality and storage. So the harvest process in full: pull up, dry, gather, move indoors, wait for a rainy day, run through the topper, pack in crates, store, EAT. Newer PostCrop Mob September 29!